Just in time for Christmas! We’ve got some great deals on some of our most popular products. If you were looking for car lifts, motorcycle lifts, automotive jump starters, and other auto shop equipment, now is the time to act! But don’t wait. These deals are only good through December 30th. And as always, there’s FREE SHIPPING! Don’t wait – Jump in Now! Free Memory Saver Cord With Model JNC950 and JNC1224 Hand-Held Car Jump Starters! This cord allows you to save vehicle presets and codes so you can disconnect the car’s battery to service it. Never lose your radio stations again! Purchase the ASEplatinum M-1000C Motorcycle Lift, and get the M-Jack Scissor Jack accessory FREE! The M-1000C Motorcycle Lift by ASEplatinum is extremely popular. It has all of the typical features and accessories you’d expect from a premium Motorcycle / ATV lift. One of those popular accessories is the M-Jack scissor jack, so you can raise the bike by it’s frame while it is on the lift to allow you to get the wheels off the runway for free-wheel access. Until the end of December, purchase the M1000C, and get the scissor jack for FREE! This is a $125 value. This has to be our most popular lift of all. Normal price is $2299. Right now, the MaxJax is on sale at only $2185. This is one of the most versatile car lifts on the market. Check out our videos in the More Info section on our web site to see why it’s so popular. This offer is good until the end of December. This portable mid rise lift by Dannmar is perfect for commercial auto shops and home / hobbyists as well. It’s strength is in it’s versatility. It’s just perfect for so many applications. It’s normal price is $1799. Right now it’s now on sale at only $1694 with free shipping. Purchase any BendPak 2 Post Lift, and we’ll throw in a free set of frame cradle pad adapters. This is a $140 value! This handy accessory will help for those vehicles that have rounded or angled frame jacking points that will not rest securely on the typical flat contact pads. This offer cannot be combined with any other special deals. Our BendPak HD-9 and HD-7 series 4 post lifts are not just our most popular 4 post lifts. They’re also our best. They’re not just for commercial auto shops. They are very popular with the home / hobby crowd as well. Not only can you service vehicles with them, you can also use these lifts to store one car over another to save on garage floor space. One of the most popular accessories with our customers when they want to store one auto over another is our drip trays. After all, you don’t want the occasional oil drip getting on the car below. For a limited time, purchase any HD-9 or HD-7 four post lift, and get a set of drip trays FREE! This offer cannot be combined with any other special deals. Only the finest automotive equipment on the market. But don’t wait! As stated earlier, these sale prices are only in effect until December 31st. We’ve told you in the past about all the different Hollywood flicks we’ve supplied auto shop equipment to over the past 14 years. These productions require all kinds of support, including a full service auto maintenance facility. And when they do, they frequently come to ASEdeals.com. At least Disney, Sony Pictures and Columbia Pictures do. We’ve told you about past movies we’ve supplied equipment to. Mostly Automotive Lifts, but also other necessary shop equipment, like tire changers and wheel balancers. Some of those motion pictures that we supplied equipment previously to are – The Sorcerer’s Apprentice, The Taking of Pelham 123, The Other Guys and The Green Hornet. The latest picture is a sequel to the very popular Men In Black series, Men In Black III in 3D. It is in production now, due to release in May of 2012. It stars the usual cast of characters, featuring Will Smith, Tommy Lee Jones and Rip Torn and is directed by Barry Sonnenfeld. Filming just began September 3rd. The Men In Black Films were actually preceded by a brief Marvel Comic Book series. Our favorite is the Men In Black theme park ride in Universal Studios Orlando. It’s a very cool attraction. Be sure to check it out if you head out there. By the way, we also supplied a car lift to Universal Studios Orlando recently too. Check out details about that sale here. We’ll keep you posted as more details come out, including providing trailers once they’re available, so, as they say on TV, stay tuned. The Green Hornet is latest Columbia Pictures film that ASEdeals.com has played a very small part in. This is a new Seth Rogan comedy scheduled for release in early 2011. This classic television retro super hero flick is being brought out for a big screen debut in January. They purchased a Ranger RX950 Tire Changer along with a Ranger DST1200 Wheel Balancer for servicing their exotic and extensive fleet of vehicles that are featured in the movie. Said Bill Maxwell from Columbia Pictures, “We needed a quality tire changer and wheel balancer to service our fleet, including the impressive car of the Green Hornet – The Black Beauty.  These Ranger machines get the job done at a very reasonable price.” This comes after a long list of feature films that ASEDeals has supplied auto shop equipment to, including, The Other Guys, The Taking of Pelham 123, The Sorcerer’s Apprentice and more. We’ll keep you posted on future posts for updates. Our previous post touched on the suject of order payment methods. But what If you don’t want to pay by credit card, check or wire transfer? Many customers that don’t want to lay out all of their available capital on a few pieces of equipment may opt to finance their auto shop equipment purchase. Of course you can obtain financing on your own through a local funding source. We also offer financing through a partner of our’s – Lease Process. We have been partnered with Lease Process for over ten years now. They are a reliable funding source that has many tools at their disposal. Richard Wilmarth the financing expert at Lease Process has the experience and knowledge to get even the most difficult credit risks approved. Of course, interest will apply and your rate will vary, depending on various factors such as how long you’ve been in business, your credit history and other factors, like how long a time frame you wish to finance it over. You can lease to own with a dollar buyout at the end of the term. That is the most popular program. Leasing offers certain tax advantages over just financing outright as the purchase is tax deductible. Rich can go over these details in more depth with you. You can access the application on our web site at the very bottom of any page. You’ll find a link there that says, ” Need Financing, Click Here“. Once you click on that link and the application comes up, simply fill it out to the best of your ability and hit the submit button. That will send it over to Lease Process. Somebody there will go over your application, and get back to you shortly afterward to go over your options. Once you have been approved and have come to an agreement on terms, the financing representative will forward some documents to sign. Once the paperwork has been completed, and they’ve confirmed all the i’s are dotted and t’s are crossed, you can get your car lift or Tire Changer, or whatever piece or pieces you desire. Then, it’s time for you to make some money with that equipment so you can pay for it!